Curriculum and Coffee: 2 for Tuesday! 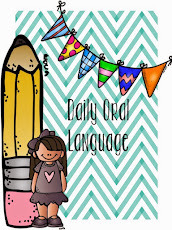 I wanted to quickly link up with Chalk One Up for the Teacher for her 2 for Tuesday Linky! Each week she features two products in her TpT store that she has on sale! How awesome, right?! Well this week I wanted to feature two new products that I have created. I am working on creating NEW short vowel activities, and I finally finished short A! 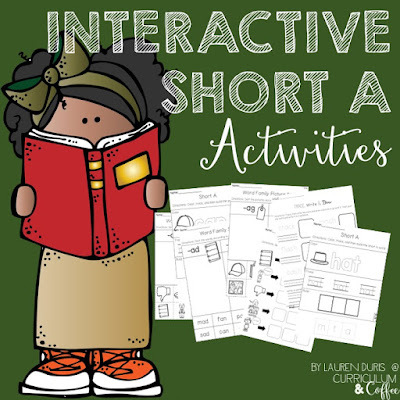 There are 50 pages of activities for your students to complete, all while practicing short A! This is perfect for centers, quick assessments, and interactive activities, and is 20% until Friday July 1! 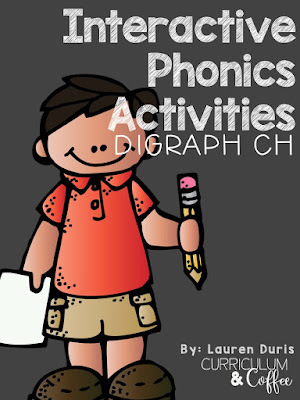 The second product I have on sale this week is another phonics activity which focus' on digraph CH! There are 48 pages of interactive CH activities that are perfect for quick assessments, spiral review, and centers. This product is also 20% off through Friday!